Capsule form so you can take it on the go! 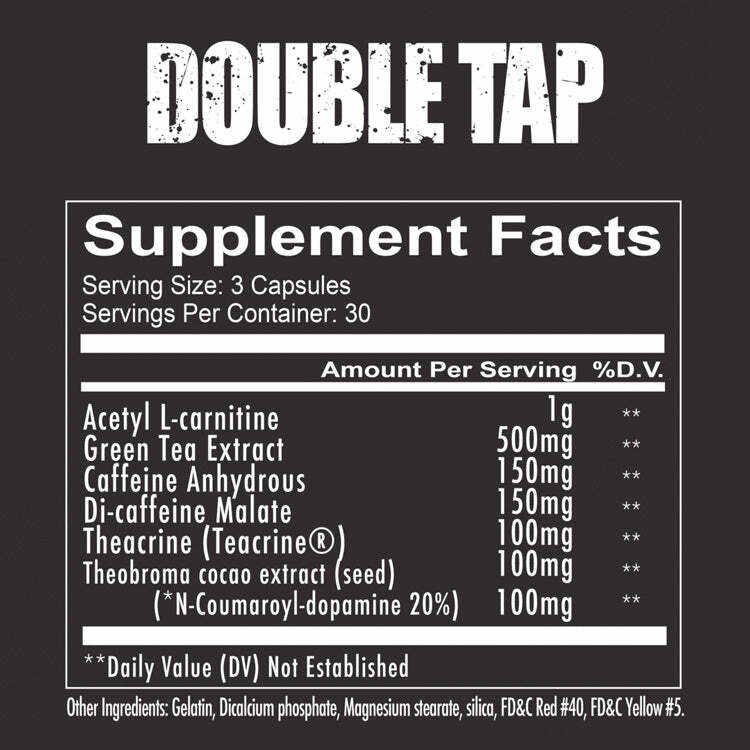 Double Tap is an extremely potent energy formula. Assess your tolerance by taking 1 capsule upon waking on an empty stomach. Once tolerance has been assessed, take an additional 1 capsule 4-6 hours after your first serving. Do not exceed more than 3 capsules per day.